New crew needed! Help little ones discover the exciting world of lifeboats and lifeguards with Storm Force – the RNLI’s very own club for young people under 11. Membership makes a fun and educational gift that lasts for a whole year; all for only £12 or €10.50. 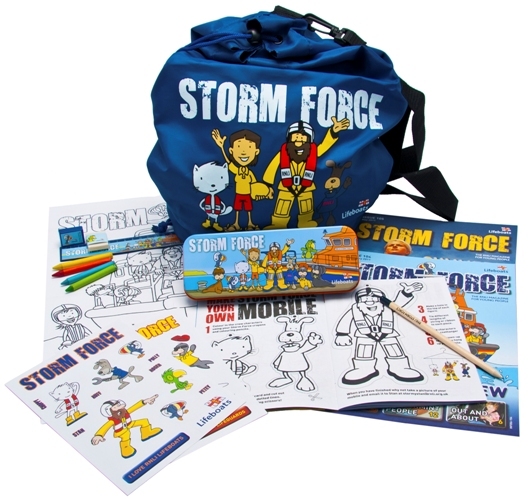 four issues of Storm Force magazine a year packed with real rescue stories, fun things to make and do, water safety advice, plus competitions with cool prizes. a shiny new badge for every year of membership.